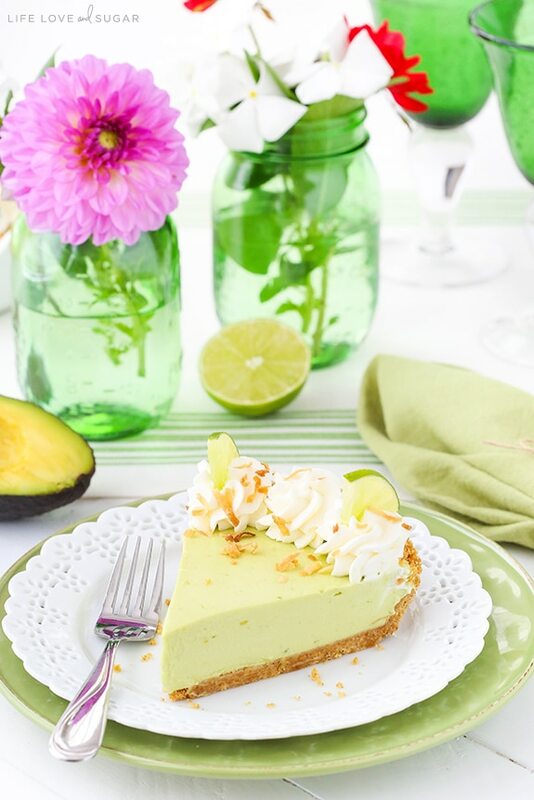 This Avocado Key Lime Pie is wonderfully creamy and perhaps the best key lime pie I’ve ever had (big statement!). 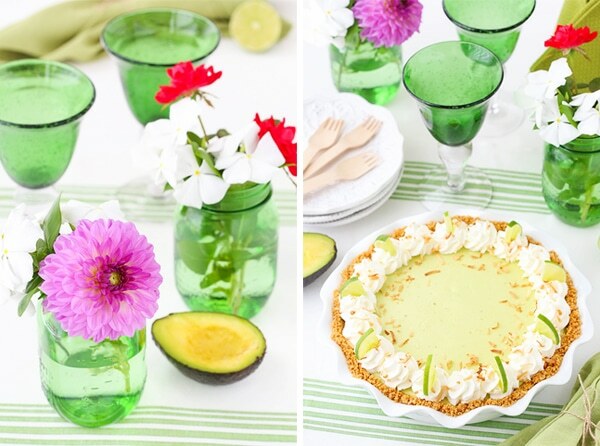 It’s also the perfect dessert centerpiece for a “Dinner En Green” party celebrating delicious California avocados! This post is sponsored by the California Avocado Commission, but all opinions are my own. Have you ever heard of a “Dinner En Blanc”? I had never heard of it, but it’s all about having a wonderful meal at an all white dinner party. The California Avocado Commission thought it’d be fun to put a spin on it and turn it green. Of course I agree with the green spin – not only is it the color of avocado, but I think it’s kind of the color of summer. One of my favorite parts of summer is that things are green and colorful and alive! Naturally, my favorite part of a dinner party is dessert. 🙂 Nobody ever asks me to bring anything but to dessert to a party or gathering and I’m always happy to oblige. 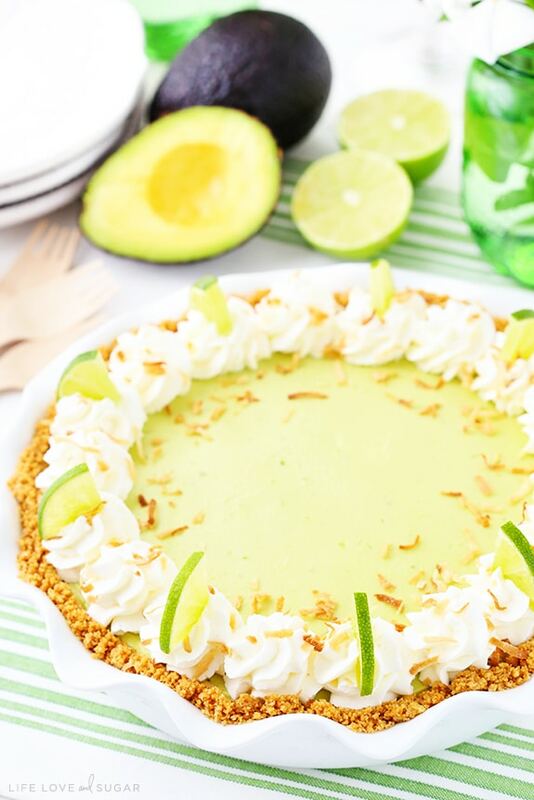 I decided to feature avocados in a wonderful key lime pie with a coconut whipped cream. 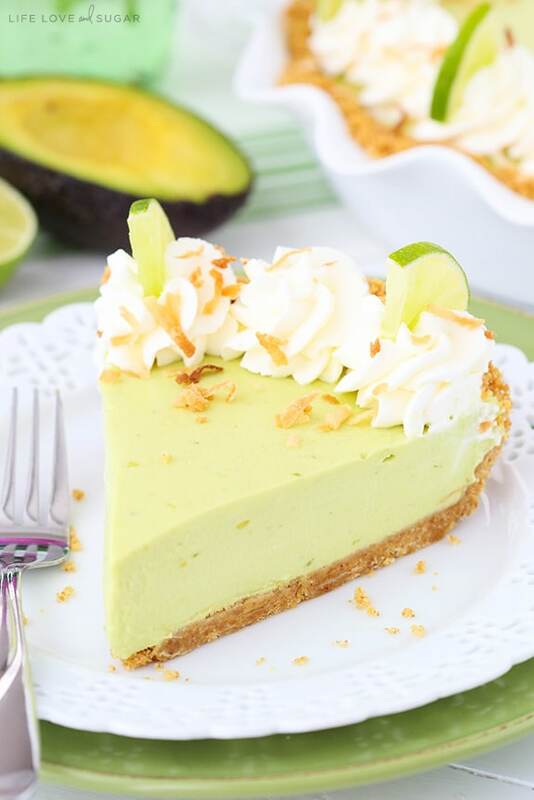 I have always been curious about including avocado in dessert. Like, would you taste it? 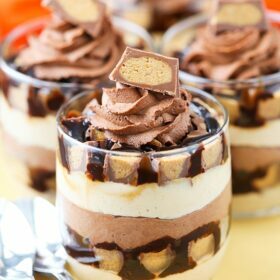 What would it do to the texture of the dessert? 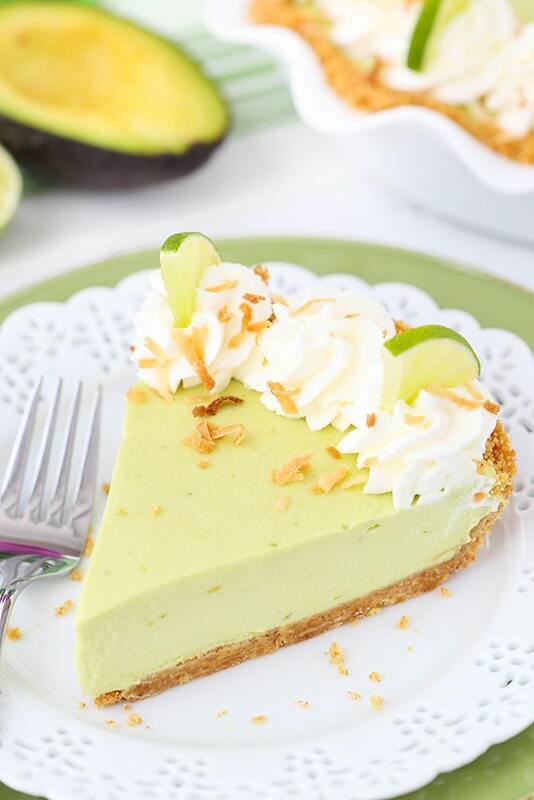 Given that lime and avocado goes together like chocolate and peanut butter, I thought a key lime pie would be the perfect thing to try. I mean, talk about brownie points! 🙂 He basically ate the whole pie. Best. Ever. But of course there’s more to an excellent green party than dessert. There’s the tablescape and the rest of the menu to think about. Need a few ideas? Yea, me too. You definitely will need a good guacamole. This Fire Roasted Corn Guacamole sounds pretty delish and I love the corn in it. This Sourdough California Avocado Grilled Cheese (open faced) is super similar to how my husband loves to eat his avocado. He makes it as a snack all the time. And this Salmon with Cilantro Avocado Salsa looks like is should definitely make an appearance. Yum! As far as the decor – one of my favorite things next to dessert – you should totally pull out all the green party supplies. 🙂 I had a fun green party pack to use that included a nice green and white table runner, some super fun green mason jars that I thought were perfect for flowers, some pretty green cocktails glasses and lovely little green votives. Some green plates and napkins were finishing touches that I already had and added the perfect finishing touches. And to tie in the avocados, you could even have a few placed around the table. I love the look of fresh fruit and veggies on a tablescape. So there you have it – everything you need for a fabulous green party! It’s time to get your California avocado on and throw a par-tay before the summer is over! 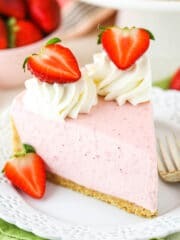 🙂 You definitely want to make this pie! 3. Press the crumb mixture evenly into the bottom and up the sides of the pie pan, then bake for 8 minutes. Set aside. 4. 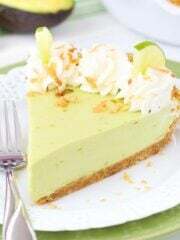 Add cream cheese, avocado, sugar and key lime juice to a food processor and puree until smooth and well combined. Set aside. 5. Add the heavy whipping cream and powdered sugar to a mixer bowl and whip until stiff peaks form. 6. Gently fold the avocado mixture and the lime zest into the whipped cream. 7. 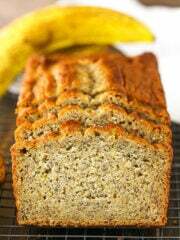 Spread filling evenly into the crust and refrigerate for 4-5 hours, or overnight, until firm. 8. When ready to serve, make the whipped cream. Add the heavy whipping cream. powdered sugar and coconut extract to a mixer bowl and whip until stiff peaks form. 9. Pipe swirls of whipped cream around the edge of the pie. 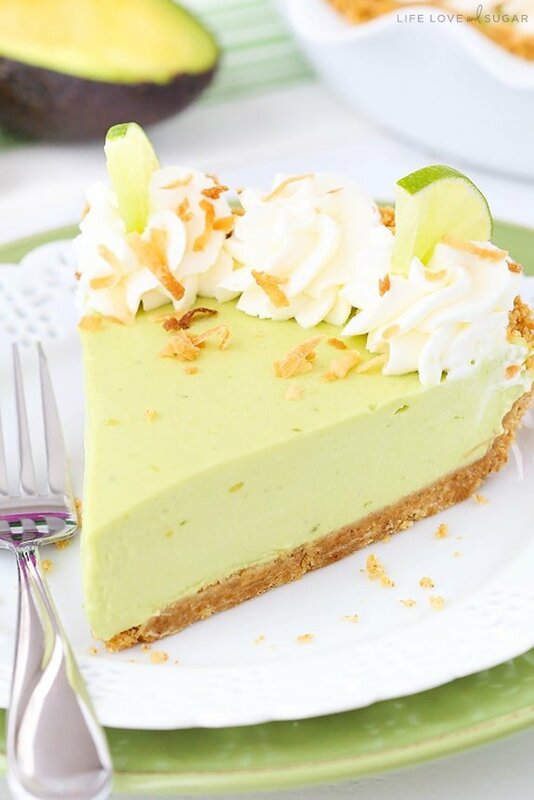 Finish pie off with lime slices and toasted coconut, if desired. 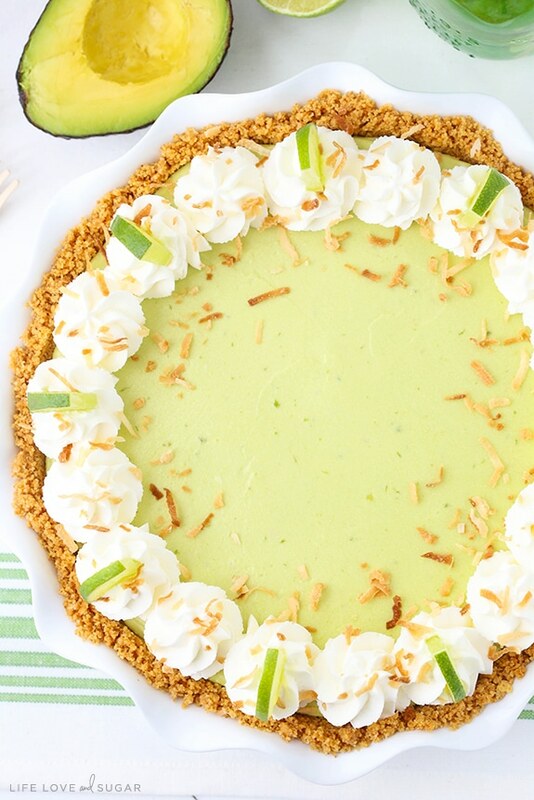 This pie looks so delicious, I can’t wait to try it! When you said coconut whipped cream, I thought you were going to whip coconut milk! That might be good, too! Lindsay, I love avocados, but even if you can’t really taste it in this pie, it’s there and it’s good for you! I’ll definitely give this a try. ola sou brasileira e os abacates daqui são geralmente grandes. Tem como você mensurar quantos gramas tinha de abacate? 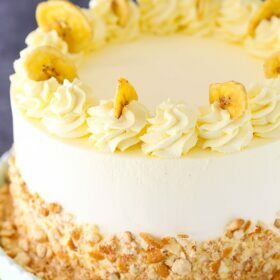 ficou linda a torta e fiquei com água na boca! Parabéns! The best pie you ever had??? 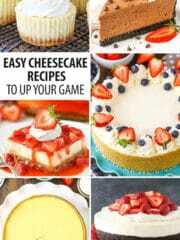 I will have to try it then because you know your pie!! 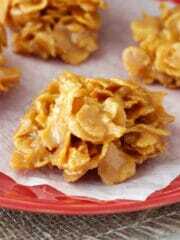 It is no bake, yes. 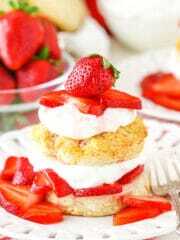 That looks so creamy and delicious! 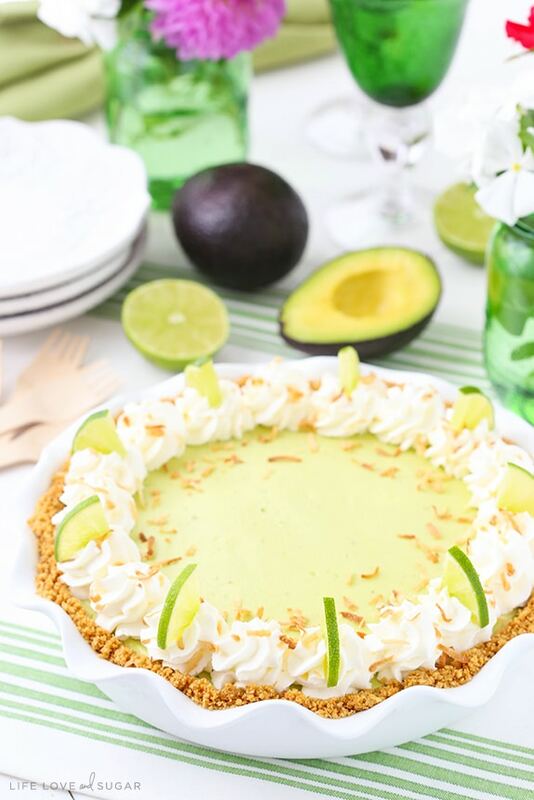 I love the idea of using avocado in a pie! 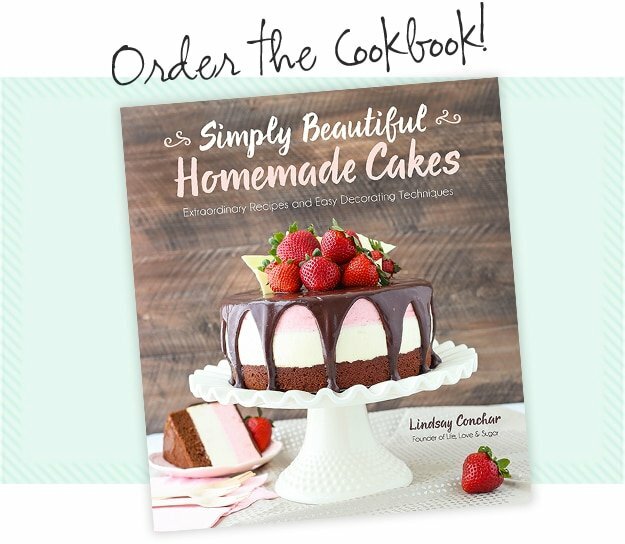 Hi Lindsey, I made this recipe and loved it! I posted a link to your site on my blog with pictures of the pie I made and sang your praises. Thanks for a great recipe! I’m so glad you enjoyed it! 🙂 Thanks Helen! happy with this pie. Thank you. Can you use hass avocados? I just made this and it tasted amazing! My pie was kind of a mess though! What do you use to grease your pie plate with? I used butter and it stuck. I also refrigerated it for almost 24 hours before eating it and still wasn’t very firm. Any suggestions there? I usually use Baker Joys – it’s a baking spray that does a good job of keeping things from sticking. As for the firmness – did you by any chance reduce the amount of sugar in the whipped cream that goes into the pie filling? I know sometimes people do that to reduce the amount of sugar, but it’s actually necessary to stabilize the whipped cream and therefor the filling. 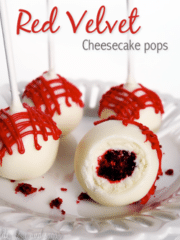 I tried this recipe today, you never disappoint! It’s really good, tastes really like lime and not at all like avocado, and it’s creamy and it looks pretty! My only concern is how long it will stay firm in the fridge, I made this pie just for two persons… We’ll eat it as pudding if necessary! 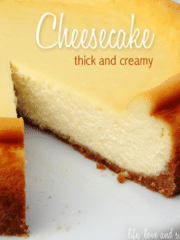 Thank you for one more great recipe! I tried making it last week. The guests love it and it was gone within minutes. It was a big deal because I don’t do desserts. I will make this recipe again and again and again. Thank you so much. Thank you for this recipe. 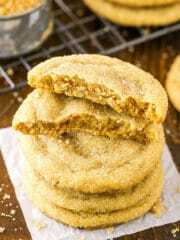 The only thing I changed was to sub macadamia nuts and unsweetened coconut ground in the food processor instead of graham crackers for a grain free crust. It turned out delicious! 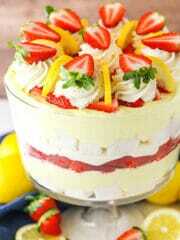 I like to decorate desserts, and they look pretty good, but mine never come out as perfectly beautiful as yours. How could I not make this after seeing that very first photo. Thanks again! That crust sounds delicious! Glad you enjoyed it!